Life can get busy. 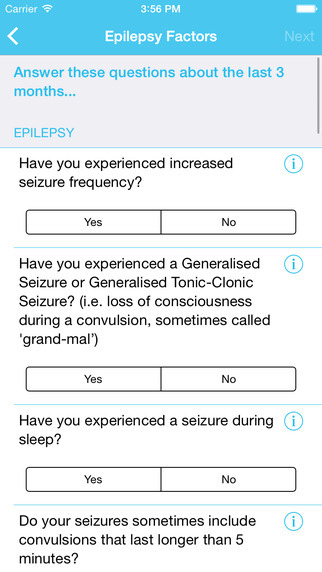 Keeping track of your epilepsy or general well-being may not be easy. National guidelines encourage regular review of your epilepsy with your GP, but this may only be once in a year. 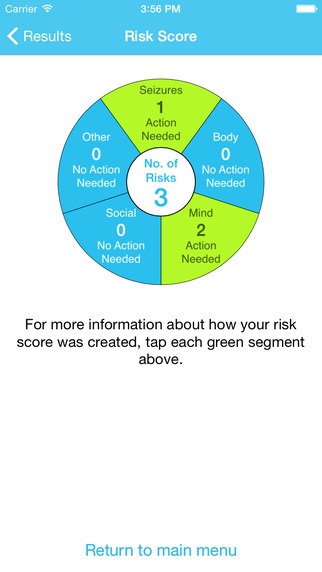 How do you check your risk the rest of the time? EpSMon can help you self-monitor in between your visits to doctors. Fatalities including Sudden Unexpected Death in Epilepsy (SUDEP) do happen in some people with epilepsy. The good news is that the best protection is action to improve known risk factors. EpSMon will show you which risks are getting better, which have worsened and which have stayed the same so you can show this to your GP. It can also help you decide whether to seek help earlier than your next planned visit. EpSMon is designed so that you can be aware of why and when a medical review of your epilepsy is important. EpSMon cannot guarantee that you are never at risk, but it can help you self-monitor and take action if needed. • EpSMon is designed for use without the need for a tutorial. • After giving an initial reading you will be prompted every 3 months to complete an assessment, which will evaluate any changes to your risks. • The assessment process is quick and easy. 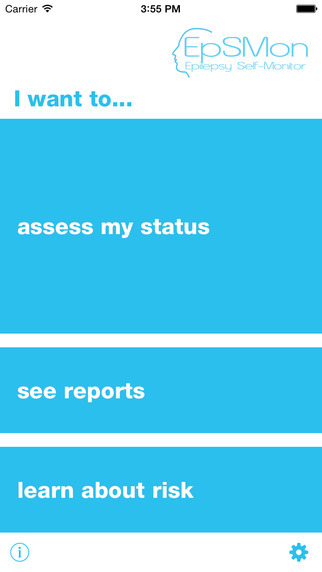 The report can be shown to your GP during your next appointment. • Learn about SUDEP. EpSMon contains guidance to help you better understand SUDEP and the factors which may effect your risk. • Anonymous data about your epilepsy is uploaded to help future research into reducing the risks of epilepsy. * A new server makes syncing much faster and more reliable. * Old assessments are now automatically imported when you login. * Improvement for iOS 9.